October Bellabox + Nuxe Review! Hey Lovelies! What's your favourite surprise of the month? Mine has got to the the Bellabox that is sent to my doorstep every month! 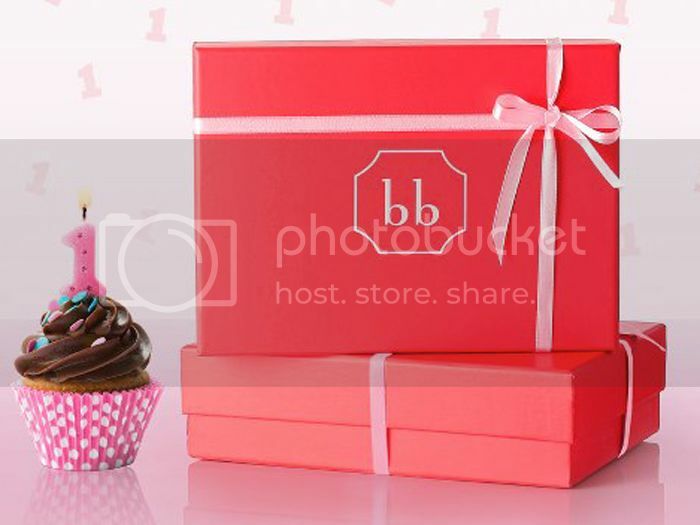 This October is Bellabox 1st Birthday! I believe everyone is expecting a lot more surprises this month! 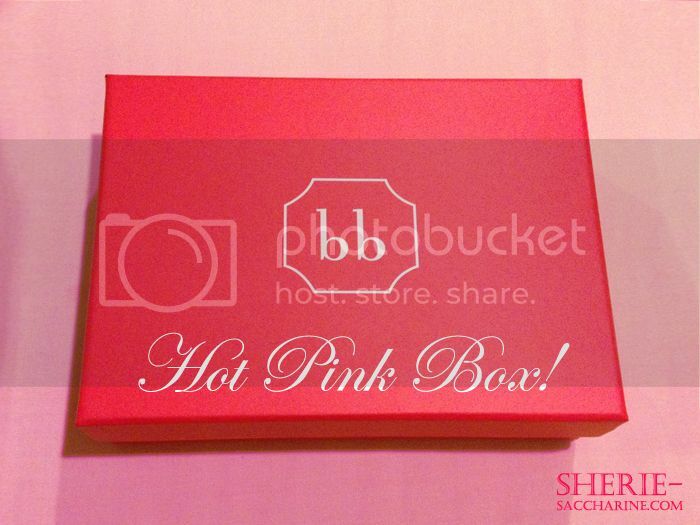 1st surprise will be the pretty Hot Pink Box! Remember the days when Bellabox comes in unfeminine stripey boxes? The time has gone, and now, I'm always looking forward to their colour change in Bellabox every month! Surprises are followed by the contrasting pink ribbons with black wrappers! Last but not least... All the goodies!!! 1st to caught my eye will be... none other than the birthday present of all subscribers! 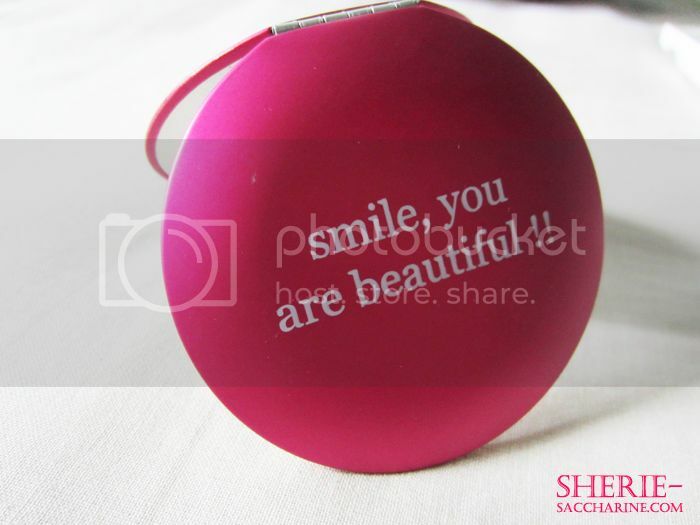 I love the magnifying 2-way mirror with a secret message to remind all girls that we are all beautiful! 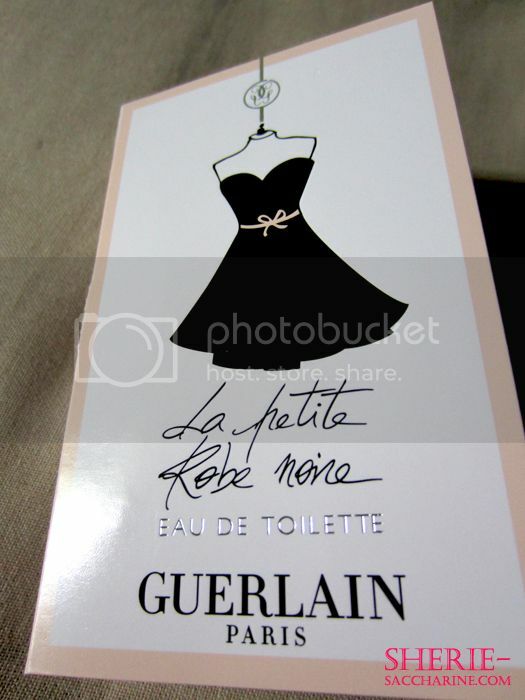 The GUERLAIN LA PETITE ROBE NOIRE EDT! 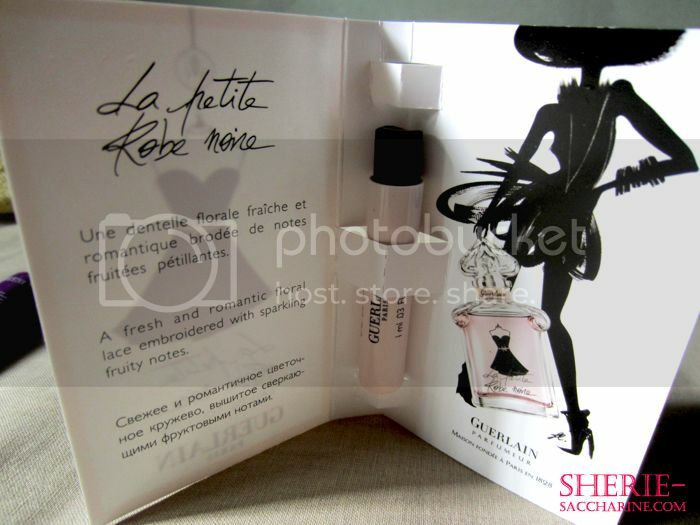 Do you know that La Petite Robe Noire means Little Black Dress in French? The EDT has a romantic scent that will definitely captivate your date during the candlelight dinner! With the goodness from roses, orange blossoms, musk, cherry and apple, no man will say no to you. 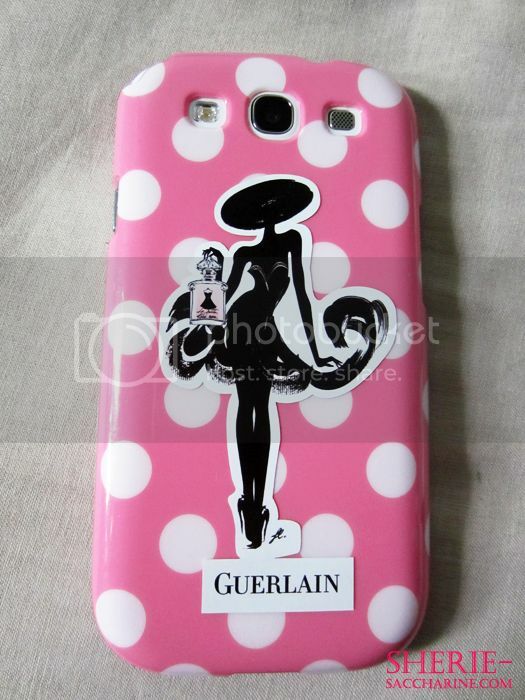 I decide to own La Petite Robe Noire a little more by having their stickers on my phone! Love the mitchy-matchy look! 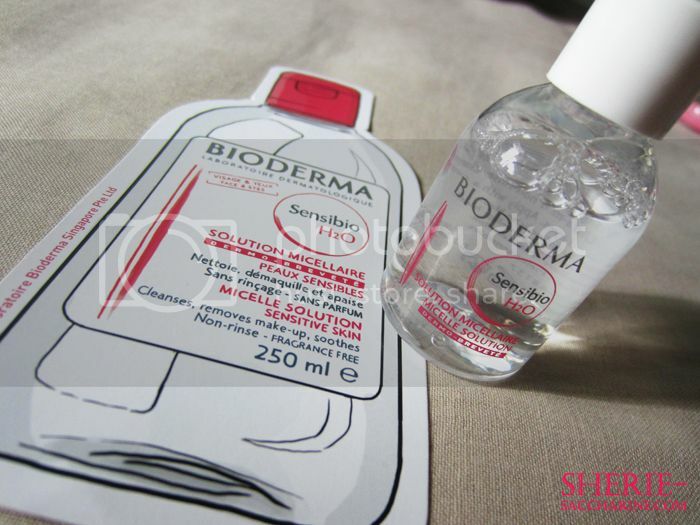 Next will be the BIODERMA SENSIBIO H20 MICELLAR SOLUTION that is formulated to cleanse sensitive skins! This non-rinse solution is gentle enough to remove face and eye makeup. Oh yes! Bonus! 3 NUXE products in a box! 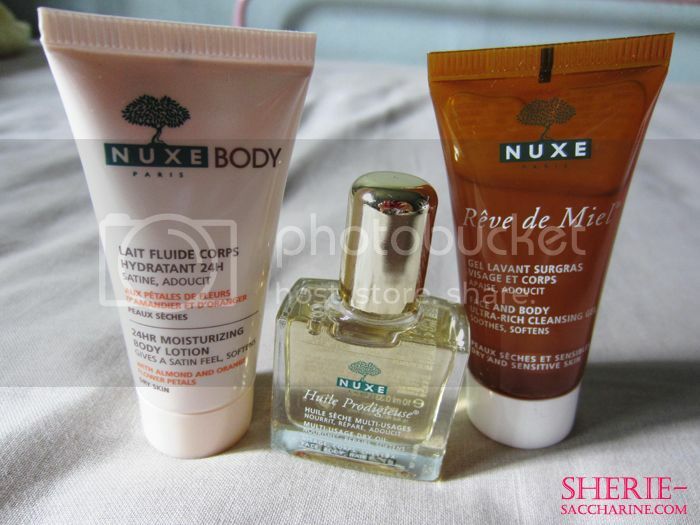 L to R: NUXE BODY 24HR MOISTURIZING BODY LOTION (300ml: $38), NEXU HUILE PRODIGIEUSE MULTI-USAGE DRY OIL (100ml: $68) & NUXE FACE AND BODY ULTRA-RICH CLEANSING GEL (200ml: $38)! Special mention to the Multi-Usuage Dry Oil! Since this is Bellabox Birthday month, I'm going to do a bonus review on the dry oil! Ever had a bad hair day like this? Always have to look for new products to fix your bad hair day? Ahhh! Now I have the best solution to my hair woes now! Introducing NEXU HUILE PRODIGIEUSE MULTI-USAGE DRY OIL ! 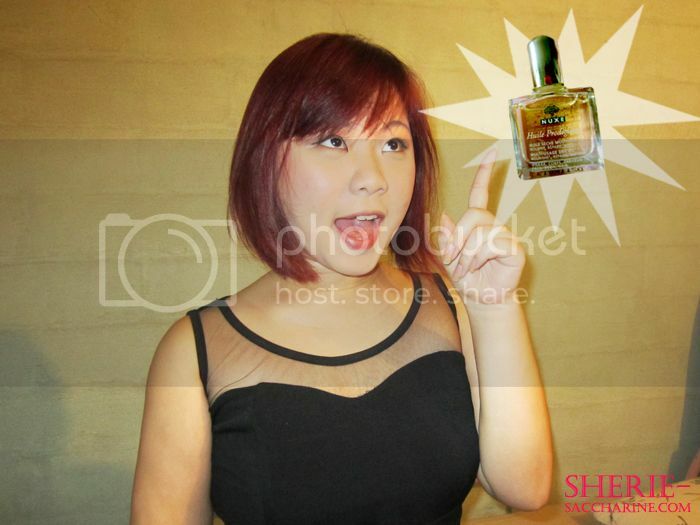 Just pour the whole bottle of NEXU HUILE PRODIGIEUSE MULTI-USAGE DRY OIL ..
to get GREASY hair like mine! Don't underestimate the power of the dry oil! 1 or 2 drops of it can already fix a hair length like mine! 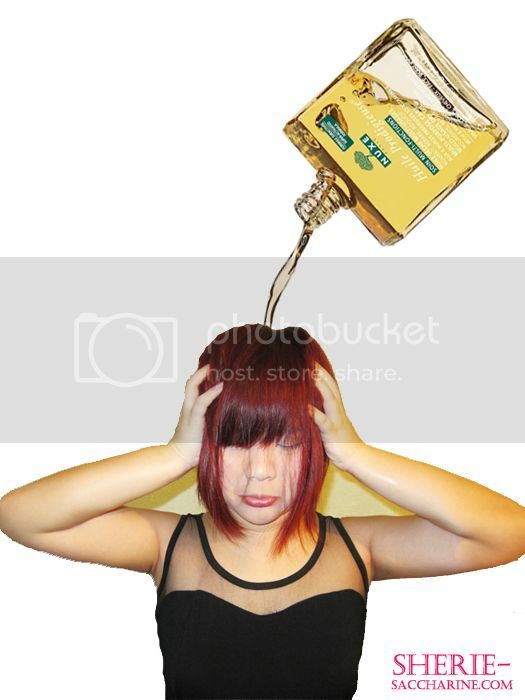 Don't be like me and pour a puddle of it, so as to avoid your hair looking too flat! 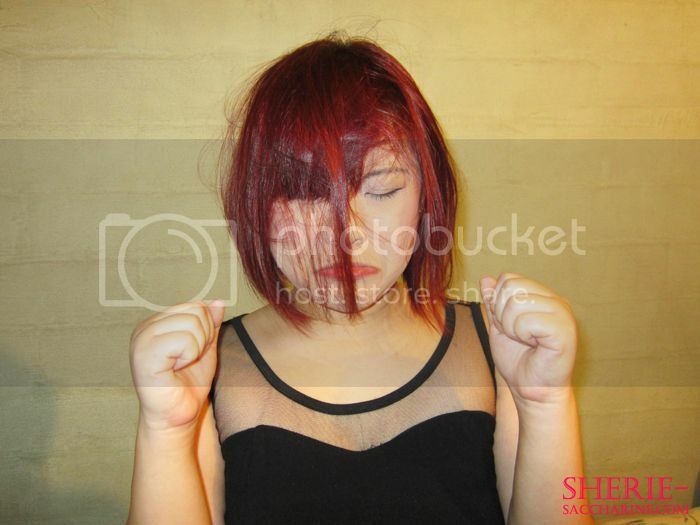 After the nourish from the dry oil, I believe you can move on with the styling of your hair! The sweet blogger at Bellabox has summarized all its uses and benefits here! Read on to learn about its goodness in a bottle! 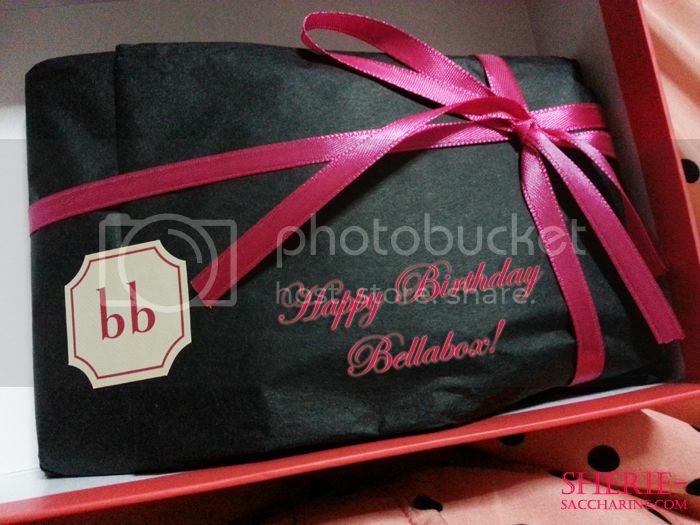 To get all the surprises and goodies every month, sign up at Bellabox.sg at $19.95 per month!